OK – I stole this idea from http://www.momontimeout.com/2012/03/coin-covered-cross-paid-in-full-easter. This is a visual reminder that through the cross, the price is paid for our sins. It was a sacrifice. It did cost something. Yet to us, it’s absolutely free. I decided this would be a great craft for our grace week. 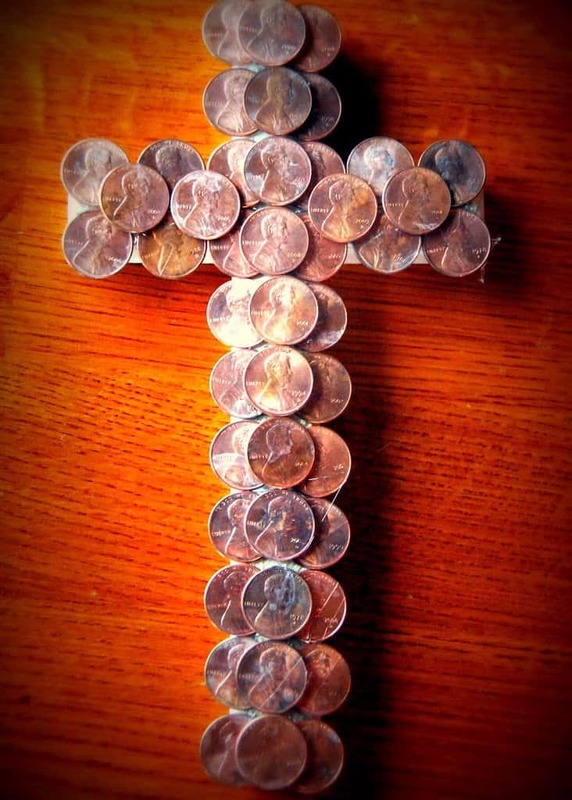 I found a wooden cross at Michael’s, and after our penny experiment, hot glued pennies down. I was really hesitant to have the girls help because of the hot glue, but I decided to make it happen. 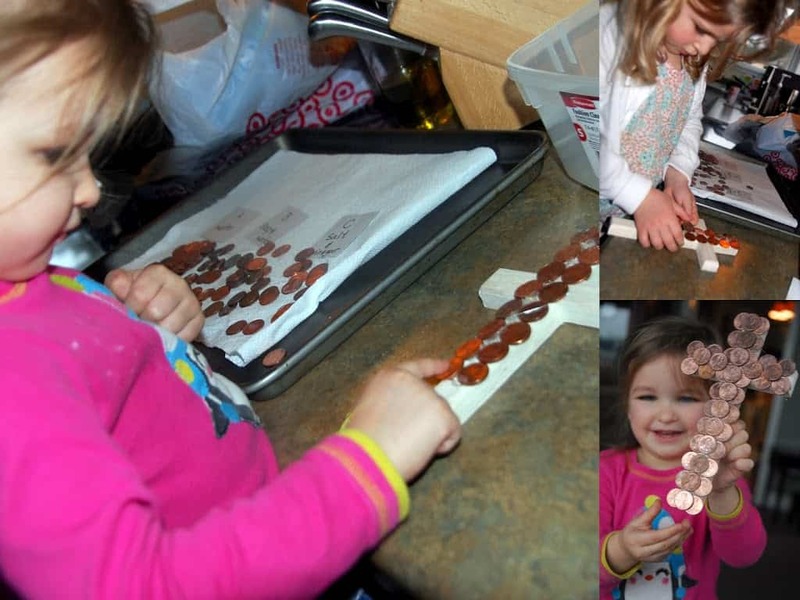 What I would do is use the hot glue myself, let it cool off a bit (I would even touch it to make sure it was still sticky but not hot) and let the girls stick down the pennies. Thank you do much. I always like to give credit where credit is due. I’m glad I had found it. Good visual….thanks.